Magical use: Aloe, a common houseplant, possesses protective forces. It protects against bad influences and protects from accidents at home. 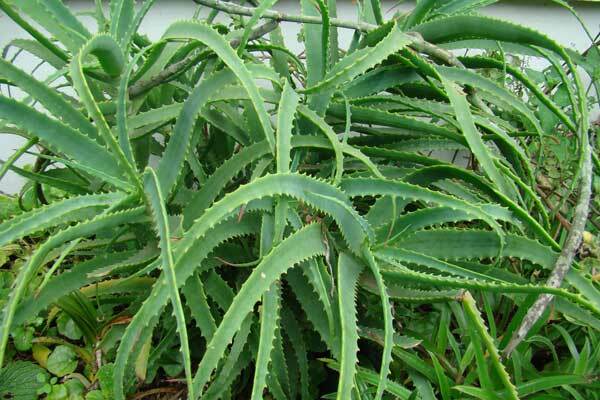 In Africa, aloe, hang over the house or over the door of the house to ward off trouble and attract luck. In Mexico, large wreaths of garlic heads fixed on a wire are made, images of saints, sachets with magical herbs, magnets, rock salt, pine nuts, as well as freshly cut aloe branches are also inserted there. They broadcast in the house for protection, luck, money and so on. It increases immunity, protects against diseases, strengthens the strength of mind, helps to endure loneliness. Means, on the one hand, bitterness, and on the other - honesty and wisdom. Dedicated to Jupiter and Zeus. Since ancient times, aloe was considered a sacred plant. Images of it were found on the walls of Egyptian tombs dating back to the 4th millennium BC. e. This plant was brought as one of the sacrificial gifts during the burial of the pharaohs. The magical use of aloe in the Afro-Brazilian tradition differs from the application of this plant in western witchcraft. In the West, aloe is considered a plant of Venus, capable of attracting love, as well as an emblem of faith. In the Afro-Brazilian magic of aloe, the present is also replaced by a century-old, whose leaves are dried and burned for purifying fumigation. Some people of the Middle East have, since ancient times, retained the habit of hanging aloes above the entrance to the house, especially if the house is new. It was believed that aloe contributes to the longevity and prosperity of the house and its inhabitants. This custom was preserved in Egypt until the middle of the XIX century, in some places it exists and at the present time. Hanging on houses aloe plants could live for several years without water and even bloom! Aloe is also credited with the property of strengthening the strength of the spirit, helping to endure loneliness. Aloe wood is commonly used in incense protection, initiation, success and prosperity. But the Muslims, returning from Mecca, brought a sprig of aloe as evidence of their successful pilgrimage. They hung it over the threshold of their house with the apex towards the holy places. In their opinion, after this, no evil demons could enter the dwelling.